Should we change our voting system? 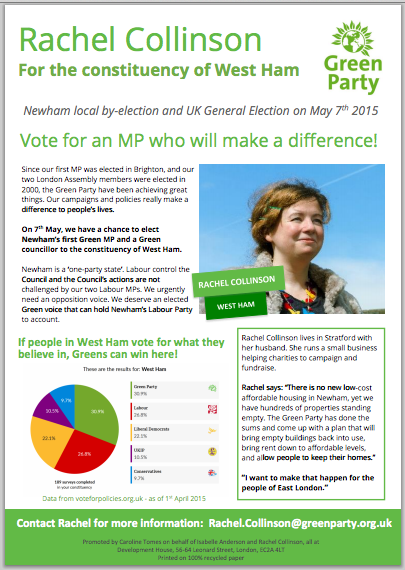 Rachel Collinson from Newham Green Party says yes, we should. Many broadcasters portrayed last week’s win for the Conservative Party as a decisive victory. However, the hidden truth is that David Cameron kept his place in Number 10 because of only 1,384 votes. Yes, really. That’s all it took. That number is the difference in votes in the 6 closest races for MP. For example, in constituencies like Gower, Conservative candidate Byron Davies beat Labour by 37 votes. As if that weren’t bad enough, consider that it took 25,972 votes to elect one SNP candidate, whereas it took nearly four million votes to elect a UKIP MP. 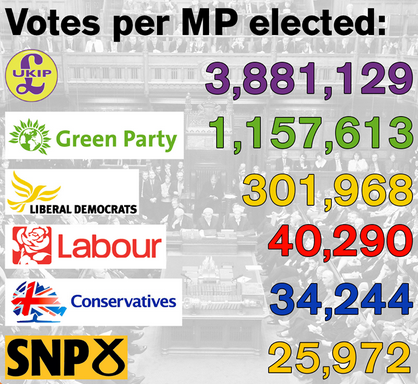 This happens because we use a voting system called First Past the Post (FPTP) to elect MPs to Westminster. FPTP is only used by a handful of countries, most of them former British colonies and tiny islands. It only works properly when there are two parties to choose from. We do, however, use another voting system in the UK – the Additional Member System. You will be using this system when you vote for candidates for the London General Assembly next year. It’s fairer and receives far fewer complaints than our current system. It delivers stable governments that represent a greater range of views held by the public. Our democracy thrives on debate. If politicians hear a wide range of differing opinions before they vote on an issue, they will make better decisions. For example, without Green representatives in the London Assembly, we would not have had the successful Cycle Hire Scheme (wrongly known as Boris Bikes). Our current system only benefits those who are already powerful. We urgently need a change in our voting system to restore faith in politics, and rebuild healthy democracy. Do you believe votes should match seats? Then sign this petition to show your support today. Author carotomesPosted on May 18, 2015 Categories UncategorizedTags FPTP, voting systemLeave a comment on Should we change our voting system? 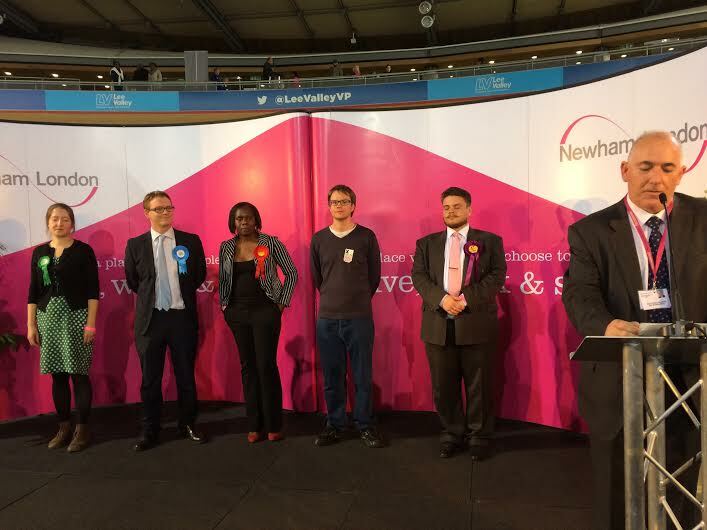 Rachel Collinson (prospective parliamentary candidate for West Ham) reflects on the 2015 General Election results. I’ll give you somebody to blame. As Labour begin the inevitable scapegoat search after a shock election defeat, I can’t help but join in. I did, after all, once donate regularly to Labour. And, although I dislike the authoritarian, militaristic side to their more recent incarnations, they still have policies that I agree with. Getting rid of the bedroom tax, for one. So I want to offer a perspective to my friends in Labour, as a friendly outsider, that may help in the licking of wounds and regrouping. OK; I’m going to dive straight in. Do you want somebody to blame? I can almost sense you eyeing me skeptically here. He may be unable to recall the names of any business leaders who support Labour, and he needs to avoid Twitter when tired, but really? He’s human, isn’t he? Yes, of course. But the problem is that Balls should not have been in charge of Labour’s economic strategy. So, the British people are in love with the idea that only the Conservatives can be trusted on the economy. The press play this tune, and the electorate dance along to it. The worst of it is, Labour dance too. Weirdly, it was left to Caroline Lucas (and other Greens, myself included) to defend their track record on the economy from 1997 to 2010. You may disagree with their spending priorities (as I did) but the fact is, Labour had more years with a budget surplus than the previous Tory administration. One of the first things they did in power was to prevent Government from raising interest rates to bribe the voters before an election, causing damage to the economy. And they did exactly what a Conservative administration would have done during the financial crisis of 2008 – spend hundreds of billions of pounds to prop up our financial system. I’m not saying that this is what we should have done, but it is certainly what George Osborne would have done. Instead, they appeared meekly to accept the Tory criticisms that they mismanaged the economy. Why? Balls is a monetarist. This means he believes – along with the Conservative Party – that the best way to grow the economy is to cut public spending. It’s called expansionary fiscal contraction, and just like it sounds, it is a contradiction in terms. This mistake allowed Cameron and Co to pitch the battle on their own, familiar turf, and – gasp – they won. What should Labour have done? Labour should have done exactly what the SNP did. They should have shown that cutting public spending during a recession is like quitting your job so you can pay off your student loan. They should have pointed to Germany and the US, economic powerhouses both, who did not adopt the deep cut strategy. 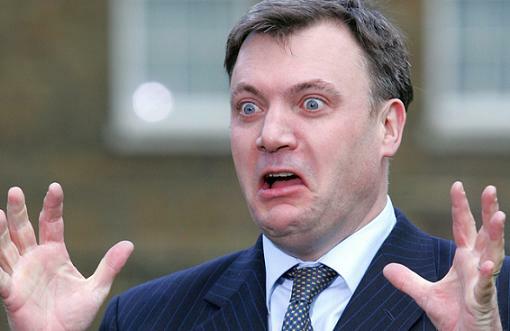 They should never have chosen Ed Balls. The people of the UK – and even UK politicians – are garishly naïve about economics. Yes, even rank-and-file Tories. Take, for example, a prospective parliamentary candidate speaking at a hustings, to whom I had to explain the difference between deficit and debt. Of course, for Conservatives, it’s convenient to be economically illiterate, because they will pursue an agenda of small government regardless. But for the left, we need to be smart. We need to find simple frames to explain how the economy works, and what drives it. For me, that will be a direct appeal to small business owners, farmers and freelancers. A recognition that they create most of our jobs. A recognition that they are the real wealth creators. A recognition that they are suffering terribly because of subsidies, tax reductions and a liberal approach to the rule-breaking of large corporations. An increase in small business rate relief. To see how these policies work in practice, just take a look at Brighton. A booming economy, superfast broadband for Brighton businesses, thousands more visitors every year, and Caroline Lucas gaining the title of the FSB’s Small Business Champion. We need to start shouting loud and clear about these smart policies. For these are what will drive Britain’s recovery. Author carotomesPosted on May 9, 2015 Categories UncategorizedLeave a comment on Want somebody to blame? 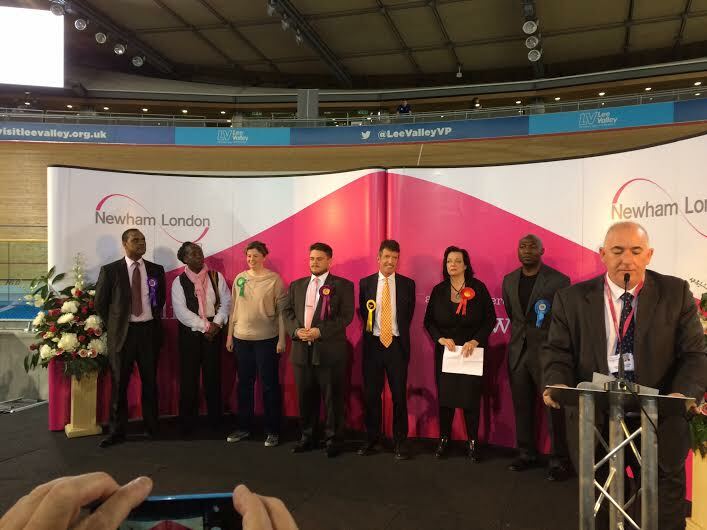 The Newham Green Party dream team! We’ve come such a long way in Newham. Although many have woken up today being dismayed about the prospect of another 5 years of the Conservatives – the progressive SNP gains in Scotland, the re-election of Caroline Lucas and an approximate 400% increase in Green votes across the country (think of all that Short Money!) indicates the progressive left are growing force to to reckoned with! 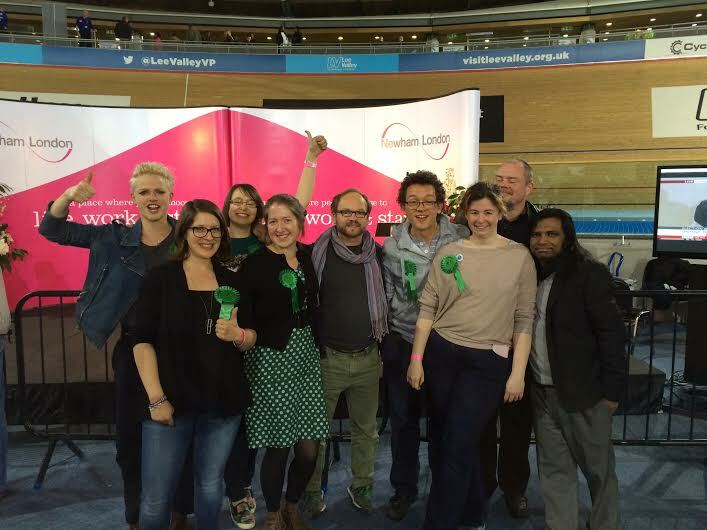 To our Green Party members who have grown five-fold in the past year. To our supporters who have helped us through being active volunteering, words of encouragement, hugs and copious cups of tea along the way. And to everyone who voted Green yesterday – our gains echo the Green Surge across the voting electoral – and we are so very grateful for each and every one of them. Isabelle Anderson secured 1,170 votes: 14% of the voting electorate. 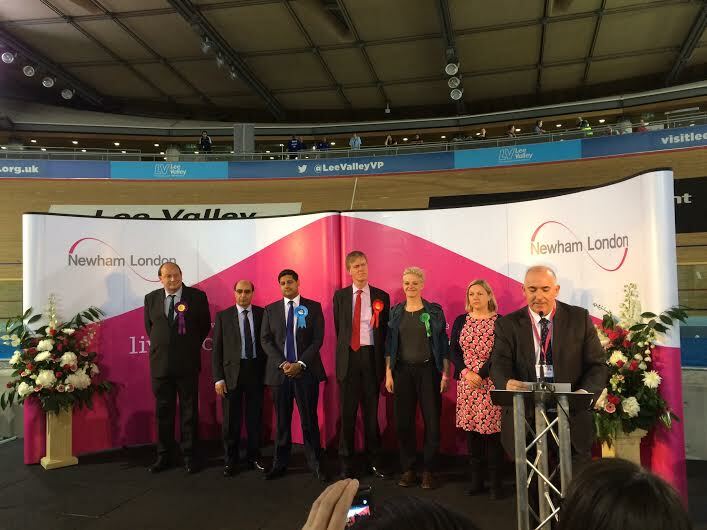 Coming in 3rd, in a ward where Newham Greens had not previously been active in prior to 2015 is incredible. Congratulations Isabelle! You did us proud. 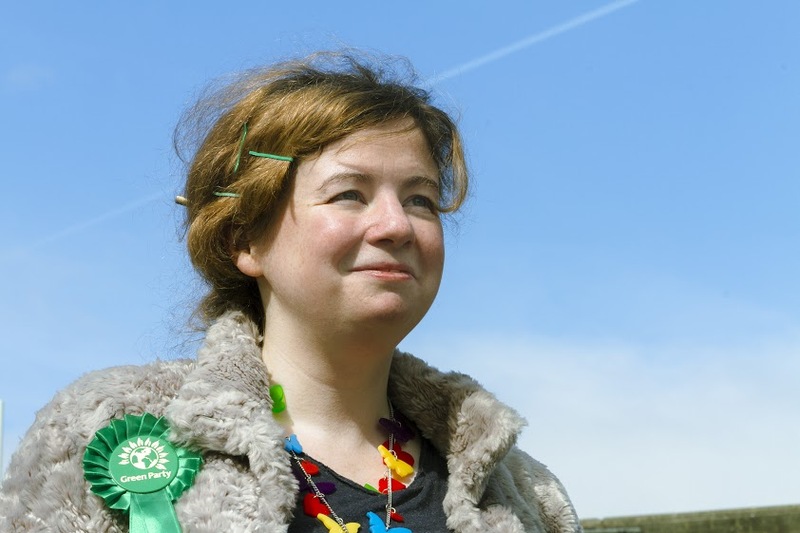 Rachel Collinson is standing as the Green Party candidate for West Ham. To find out more information, read an interview with Rachel here. Rachel is always happy to talk with residents, either face to face, on Facebook or Twitter. Do get in touch if you have any questions!